More than a few online marketers are ready to declare desktop search to be dead, as the internet works to integrate platforms more than ever. But while mobile traffic is becoming an ever more important part of the search world, ignoring desktop internet usage could be a huge mistake. One of the most important metrics for many online businesses are marketers is engagement. When you share something on your site or through Facebook or Twitter, the goal is naturally to interact with others. Sure, plenty of people spew out content without ever actually interacting, but anyone who takes social media and online interaction seriously knows that real engagement is what happens after you’ve shared. Publishing and sharing content has tons of benefits, but users gain a better idea of who the company they are interacting with through commenting, messaging, and truly engaging a discussion. Consumers have shown more and more that they are looking for brands with a face, or at least a Twitter personality. However, if you are marketing directly towards a mobile users or you are writing up a death certificate for mobile search, you likely aren’t getting as much as engagement as you could. A new study has shown that desktop users are the dominating force behind content sharing and engagement around the world. The mobile share of total engagement has been increasing, but the latest data from AddThis still shows a 65%-35% advantage for desktop. There are many possibilities for the cause behind the disconnect. Martin Beck suggests the driving force is publishers who haven’t optimized content and engagement services for small screens, but that doesn’t explain away the differences observed on mobile optimized platforms such as Facebook and Twitter. 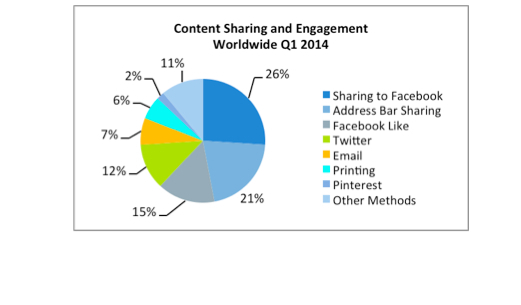 More likely, the differential is created by different usage patterns across platforms. Mobile users are more likely to look up brief facts and information, but content that calls for engagement also often necessitates more thought and time to read. Quite simply, most people are more likely to do their reading, bookmarking, sharing, and commenting from the comfort of a desk. One of the most common excuses I hear from small businesses who aren’t taking advantage of online marketing is the fear that a smaller local business can’t compete with the big names you frequently see at the top of the search results. It is such a prevalent concern that Google’s head of search spam, Matt Cutts finally had to address it in one of his frequent Webmaster Help videos. How can smaller sites with superior content ever rank over sites with superior traffic? It’s a vicious circle: A regional or brick-and-mortar brand has higher traffic, leads to a higher rank, which leads to higher traffic, ad infinitum. Thankfully, the notion that bigger brands automatically can leverage traffic to maintain high visibility is (mostly) false, as Cutts explains. In many ways, search engines are one of the great equalizers, in that they theoretically rank all sites the same way. Big brands are held up to the same standards as smaller or more local businesses. I would wager Cutts specifically chose this question as it is worded in a way that allows for the most optimistic answer. Cutts is absolutely right when he says that smaller sites with superior content can quite possibly overtake their more recognizable competition. When businesses get to a certain size, they can become lumbering and sluggish, which makes it much easier for a more agile brand invested in their online presence to perform higher. The larger brand may still get more traffic, but you can steal their spot in the rankings by getting real engagement and interest in your content. The real trick is finding your niche. While Cutts’ answer prides content quality and performance over all others, he forgets to mention that some brands may be able to outperform you in many markets. The big brands may be large and encumbered, but they also have the resources to put up a good fight for online visibility, which a small brand with less resources may not win across the board. However, if you can find your niche, you don’t have to worry about outperforming the well-funded giant in every aspect. You just have to beat them in your one special area. If you have your niche covered well, you’ll be able to grow into other niches until you gradually become a giant too. Taylor Ball https://www.tulsamarketingonline.com/wp-content/uploads/2018/07/TMO-Logo.png Taylor Ball2014-04-29 11:27:002014-04-29 11:27:00How Can Smaller Businesses Compete With The Big Names Online? For businesses struggling with the issue of negative reviews, this news isn’t a relief. However, Blumenthal reviewed his results and noticed something interesting. Younger consumers seem to be more tolerant of bad reviews than their older counterparts. Of course, younger consumers aren’t going to forgive a place with an outstanding number of one star reviews. But, it appears that consumers between the ages of 18-24, specifically those who are more savvy to online reviews, may be able to parse negative reviews more thoroughly rather than rejecting businesses out of hand. 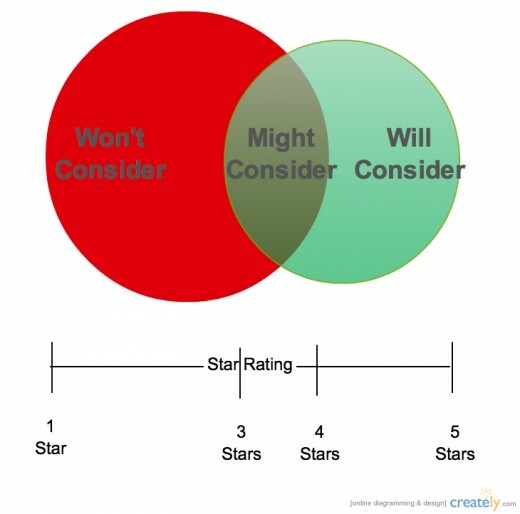 Rather than accepting the review at face value, they actively search for aspects that could be a deal breaker. Obviously, the best way to handle a bad review portfolio is to directly address any valid concerns of reviewers, and encourage those who have positive experiences to review your site so that you can potentially water down the negative. But, Blumenthal’s survey suggests that reviews are always the end-all-be-all that we think they are. With the constant stream of news coming out of the online marketing industry, it can be hard to keep up with all the latest updates without missing some important information. Below, we will go through all of the news from the week that we missed at the time. 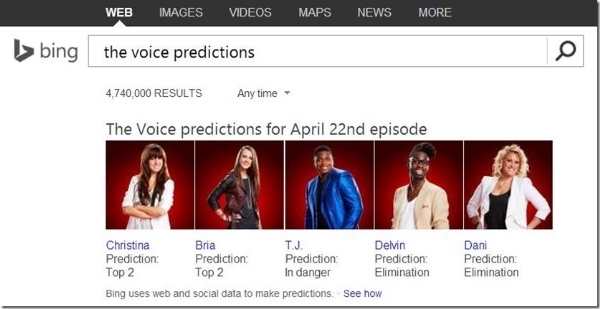 Bing is using search and social signals in their attempt to predict outcomes of public events, and they are showcasing the results of their test by estimating who will be moving onto further rounds in reality shows like The Voice, American Idol, and Dancing With the Stars. Bing isn’t using magic to see the future, but they are using measures of popularity to predict the results of some of the most popular shows in the country. While this could be a fun feature for fans of reality TV, there is also potential for Bing to expand their predictions to events and elections that have a more direct on the country in the future. Google Trends has been a useful tool for discovering what people are searching for around the world. But, the service has always been somewhat isolated. You can consult the section to see what new artists, films, or memes are trending, but users have been left to keep up with the topics that interested them on their own. Now, Google Trends has added a new feature that lets you “Subscribe” to any search topic, Hot Searches for any country, or any U.S. monthly Top Chart. Google explains how subscribing functions in their announcement. Last week, Search Engine Land teased that huge news was coming for AdWords by vaguely discussing what types of features you might be seeing in the future. All the features were announced on Tuesday and Larry Kim took the time to break down what each new feature does and how it can affect online advertisers. 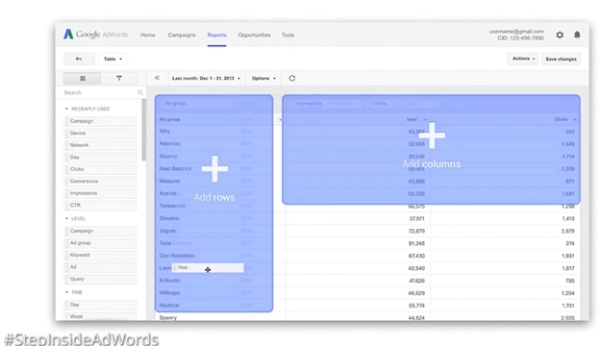 Find out what the new AdWords will be like in Kim’s article for Search Engine Journal. Responsive design has been widely loved for its ability to unify user experience across multiple platforms and devices, and some web designers claim it even speeds up their work process by preventing them from having to design two separate sites. However, a new study suggests responsive design may have a significant weakness. Responsive design may provide a better and more cohesive user experience across platforms, but a new study says the majority of responsive sites load too slowly for mobile users who are likely to leave a page that doesn’t load within 5 seconds. Mobile web developer Trilibis evaluated 155 prominent responsive design websites, and their findings aren’t pretty. There are rumors swirling that Yahoo is considering rejuvenating their search engine to re-challenge Bing for the second most-popular search engine available. Their share of the search market suggests Yahoo will have to make some drastic changes to have any chance at their comeback in the search game, but the company has been testing some recent changes to their search engine that lend truth to the rumors. However, one of their tests also drew attention for looking questionably similar to Google’s Knowledge Graph. All Google Testing discovered the test and documented how to see the test for yourself, or you can just watch their video below. HTML5 has been called one of the most important web design languages in history, and some go so far as to call it nearly perfect. But, as you’ve probably guessed, a fair amount of that was hyperbole and overstatement. HTML5 has some great benefits, but there is no such thing as an ideal design language. This infographic, designed by Kony, breaks through the gimmicks and PR to examine the real pros and cons of HTML5, as well as the current and projected trends to come. If you don’t have a website for your small business, you are certainly missing out on potential business and growth for your company. But, some business owners are nervous about branching out and getting online because they are afraid to lose money on a venture they don’t entirely mistake. It is a fair concern. There are countless thrown together websites that litter the web, neglected and forgotten by everyone except the bots search engines send out. But, that shouldn’t be enough to stop you from reaching out with your own company. The majority of sites that have gone unnoticed and cost their businesses money share a number of fatal flaws that will stop any traffic from trusting you or returning to your company’s site. Today, we are going to discuss the most common mistakes that drag down websites that have the potential to engage and excite visitors, and how we can help brands turn their struggling website into a real platform to expand your customer base and engage with your audience in new ways. Hidden Contact Information: For smaller businesses a website serves as an entry point for customers. While your website should demonstrate your expertise and services, the most important thing on all of your site is your contact information. Far too often, this information is stuffed and hidden away at the bottom of the front page or an obscure tab. Instead, put the contact information front and center, or at least above the fold. Visitors should be able to contact you within seconds from the front page of your site. Crowding the Page: In web design, less can certainly be more. Your front page shouldn’t look like a crowded advertisement you send out to local papers or a mishmash of information crowded into as little space as possible. With online design you never really run out of space, so don’t be afraid to let your site breathe and let the white space of the page shine through where it needs to. If your page gets too busy, ask yourself what is essential, and prioritize what information should be immediately visible when your page loads. Then build from there. Dead Links: Nothing says “this website is not well maintained” to a customer like a site filled with links that no longer work. But, if you only work on your site from one computer or network, you might not ever know the links are broken. Regularly check your site from a different computer and check to make sure all the sites you are linking to are still up to date and don’t lead to pages that no longer exist. Animated Logos: When you visit websites for highly respected brands or prominent companies, do you ever see logos that spin, flash, or shoot glitter? While Google’s animated “Doodles” are a popular feature of their site, the vast majority of successful sites put their animated logos out to pasture years ago. Just use your professional logo in the cleanest looking format you can. Typos and Grammatical Errors: There should NEVER be grammatical errors or typos on your page, especially on your front page. Yet, I still see this all the time, and audiences notice. If you have to hire someone to proof read all copy you publish, do it. The bottom line is that visitors and readers automatically respect and trust you less when they notice errors on the digital face for your company. Stale Content: One of the biggest ways to push away your audience is to appear out of date. If you have content that is just sitting there and is never udpated, visitors will start to wonder if you are still in operation, and if so, why did you leave your website and content to rot? Regularly publishing fresh content shows that your business is up-to-date, in touch with its customer base, and an expert in your field. Outdated Calendars: The same problems with stale content are inherent in outdated calendars, but worse. If a visitor sees your online calendar hasn’t been updated since November of 2011, they will assume that is the last time your website was updated. Similarly, they will assume you have either neglected your site or gone out of business. If you don’t have enough events to fill a calendar, cut it. If not, then start updating the calendar with all your events so your audience can join in on the fun. Yes, there is plenty of room for failure online. But, with a little bit of wisdom and a skilled hand to guide you through the process, it is actually much easier to gain a bit of traction online than you probably think. But, you can’t use full measures. By waiting to get online you are just missing out on potential customers, but a poorly done website projects disinterest in your own business or a lack of professionalism that won’t attract any new faces. Most importantly, you won’t see any new sales with a site like that. You would think most guest blog networks would be watching their steps in the wake of the widely talked about penalty levied against MyBlogGuest, but one network named PostJoint has remained steadfast, if not cocky. Unsurprisingly, that means they are the lucky recipient of the second penalty Google is giving to a guest blog network. @techtada any link or guest blog network that claims to have "zero footprints" is waving a giant red flag. When Cutts first began to talk about guest blogging being done for, both PostJoint and MyBlogGuest were outspoken in their defense. The operators of MyBlogGuest tried to argue that they didn’t fit the definition of a guest blog network, and PostJoint tried to explain how they were different from MyBlogGuest after their penalty. Neither defense managed to protect either network. Perhaps the most entertaining part of the penalty is the response PostJoint has given in their blog titled “Matt Cuts Us Out“. The short story is that PostJoint is confused about the warnings they received while openly admitting that at least 16% of their network received the unnatural links notification. All of that leads them to conclude: “The fact that only 16% of our sites have been hit shows that Google can’t infact trace all of the sites using PostJoint.” Clearly, PostJoint doesn’t understand how Google’s penalty system works. With the constant stream of news coming out of the SEO industry, it can be hard to keep up with all the latest updates without missing some important information. Below, we will go through all of the news from the week that we missed the first time. Yahoo’s Q1 2014 earnings gave some optimism that the company had some life in it, but don’t get too hopeful. The latest market share analysis of the search market shows that Yahoo is still falling, while Microsoft benefits and Google stays comfortable with their two-thirds of the market. The idea of senior citizens being out of touch with technology is becoming increasingly questionable, as a new survey conducted by Thrive Analytics and the Local Search Association shows that older generations (including Boomers an Seniors) are embracing mobile to inform their local shopping process. Facebook announced the roll out of a new optional feature that will make it easier to find friends that are close-by. The new feature will notify you when friends get within a certain distance so that you can get in touch with them. The feature is completely optional and can be turned off at anytime, but both users must have the feature turned on to receive notification when they come within close proximity. Rumors have been swirling that Yahoo is hoping to leverage Apple’s dislike for Google in order to become the default search provider for iPhones. Media outlets everywhere jumped at the chance to report on these rumors, but as Danny Sullivan shows, it would take something close to a miracle for Yahoo to have any chance of becoming the big search option for Apple’s mobile users. For an industry that relies on as much data as the SEO market does, there is never much certainty that the popular optimization tactic being preached at the moment is a legitimate strategy. We rarely have the definitive answers from the source needed to keep all the confusion down, and new myths seem to spring up overnight. To counter the constant flow of SEO myths, Google’s distinguished engineer Matt Cutts used one of his recent Webmaster Help videos to debunk many of the misconceptions surrounding the world’s most popular search engine. This isn’t the first time Cutts has used his regular video message to debunk SEO myths, but this time he focuses on a specific type of myth that has become increasingly widespread as Google seems to keep narrowing their guidelines and offering greater space to ads. Cutts starts by tackling the myth “if you buy ads you’ll rank higher in Google” and the opposing legend that not buying ads is the key to high rankings. In Matt Cutts’ perspective, these fables are tied to the notion that Google makes all of their decisions in an effort to force webmasters to buy more ads. The problem with that idea is that it doesn’t actually reflect how Google thinks about their operations. The fact is, webmasters are rarely the main priority for the search engine to begin with. Instead, according to Cutts, Google’s rationale behind all changes is simply that they want to return the best search results possible to keep users happy and keep them coming back. Of course, no one is denying that Google would like users to see ads and generate revenue, but that is never the prime motivation for changes like algorithm updates. On a similar note, Matt uses the second half of the video to discuss the offers he sees for software packages that clam to help users make money and magically fix their SEO – for a small fee, of course. In the end, most of the myths are born out of a misunderstanding of Google’s goals. Too many SEO professionals think of their job strictly in terms of increasing visibility and rankings, or upping their ROI. But the search engines are just looking for the best content possible. You can spend your time trying to game and cheat to get to the top, or you can align yourself with the search engine and try to provide users something of value. According to Cutts, that should be enough to fix many of the problems less honest SEOs tend to run into. 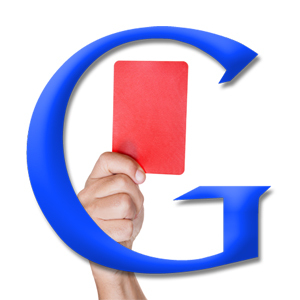 Does Google’s Disavow Tool Really Work? Since Google unveiled the Disavow Tool in October of 2012, webmasters and SEOs have treated it almost like a magic cure-all for bad linking decisions, black hat SEO, and any sort of penalty they receive from Google. Despite the obsession with the Disavow Tool, every online poll of the effectiveness of the tool suggests it isn’t as smooth of a solution as some make it out to be. 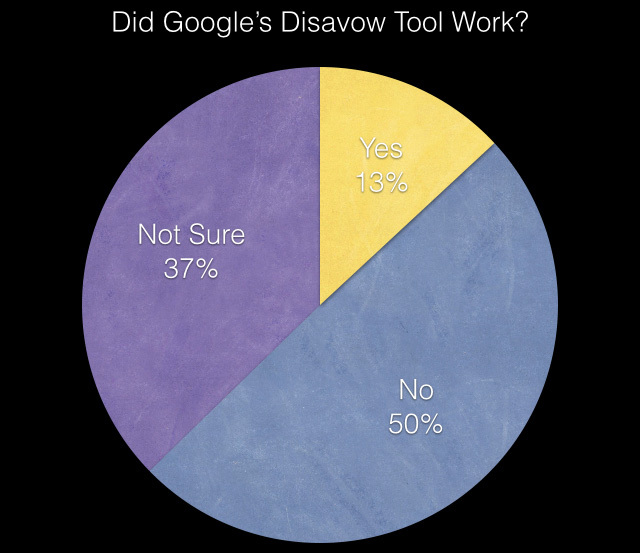 For example, a poll from Search Engine Roundtable claims that only 13% of webmasters had success using the Disavow Tool. Of course, Search Engine Roundtable openly admits their polls are far from scientific (you can read their disclaimer here). But, while many are taking these results as proof that the Disavow Tool doesn’t work, it could very well indicate something very different. People seem to just be using the tool wrong a huge amount of the time. As Barry Schwartz points out, there is no doubt that the Disavow Tool can help remove penalties, but it doesn’t always lead to better rankings. With Google’s constantly changing algorithms, it is impossible to expect to return to the exact positions in the results you were already at. Not only that, but Google has given very specific instructions for how the Disavow Tool is intended to be used, and experts have been regularly updating their own guides for the tool. But, a lot of webmasters see that they received a penalty of some form and immediately go into panic mode. They mass disavow links, without doing the work to ensure the links were ever the problem. What do you think? Is the Disavow Tool not reliable, or is the tool being misused? Taylor Ball https://www.tulsamarketingonline.com/wp-content/uploads/2018/07/TMO-Logo.png Taylor Ball2014-04-17 10:37:532014-04-17 10:37:53Does Google's Disavow Tool Really Work?